Shipdata.com | If you have a cargo or a ship become a member and save time. If you have a cargo or a ship become a member and save time. How to save a 100 % time? By using ship data you may minimize the loss of time through searching for data among many e-mails or websites and reach to the best coclusion by saving most percious time. 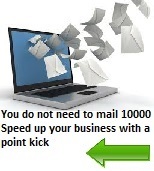 Without being stuck with sending thousands of e-mails or with many spam filters you may save time by shooting straight. Moreover, without being lost among reading many e-mails for hours and hours you may use your time more efficiently instead, and save time, energy and money. Thanks to your Ship Data membership you may have your staff more productive and have them getting concrete outcome in the meantime. Additionally, your customer satisfaction will be elevated easily. Dealing with your customers' business in a quick, reliable and problem free way, may result in your highest prestige and goodwill. Through saving time, you may have the opportunity of reducing your expenses and increasing your revenues.